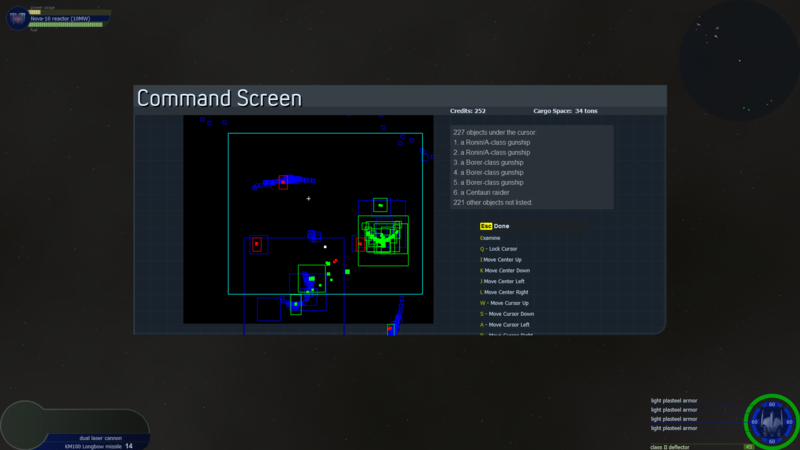 The Command Screen is an attempt to implement as many RTS features in Transcendence as possible using the engine in its current state. 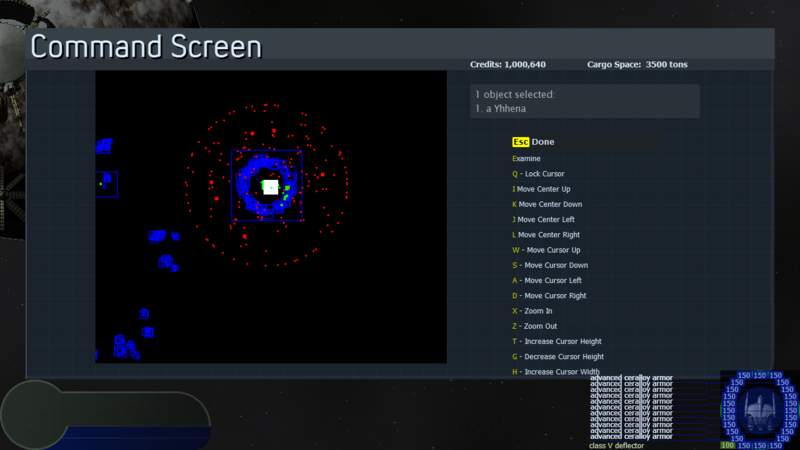 It uses a dockscreen to draw the System Map and adds a cursor that allows the user to select objects for examination. It includes a custom item that the player can invoke to show this screen and a library in case anyone wants to use it as part of an adventure. 1. 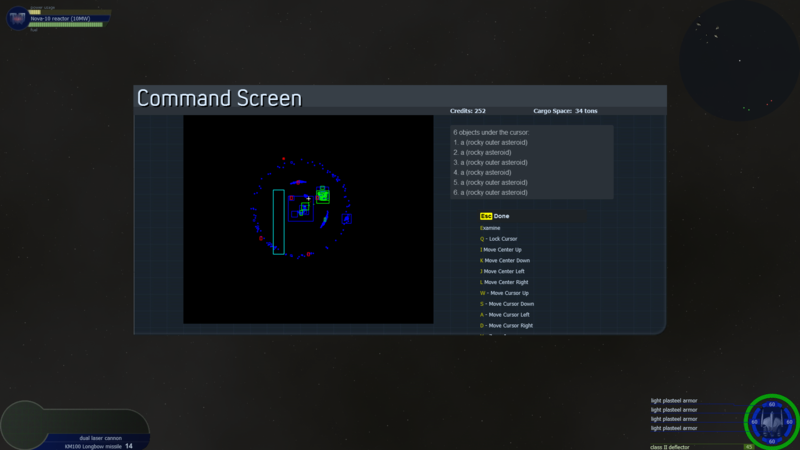 This is the default view for the command screen. Stations are shown as outlined rectangles while ships are shown as filled rectangles. Blue rectangles are objects that cannot attack, green rectangles are friendlies, yellow rectangles are neutrals, and red rectangles are enemies. The player is a white rectangle and the cursor is a light blue rectangle. 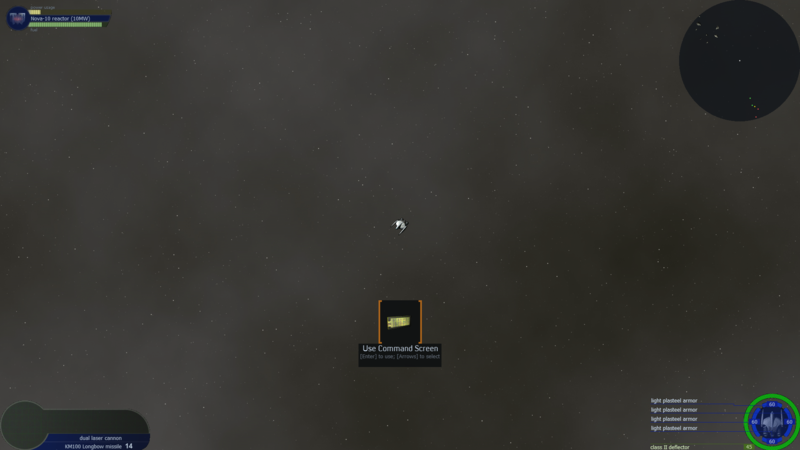 There is a white crosshair that always stays in the center of the screen. NOTE: The screen freezes time while active. Also, its state always resets to the default view upon exiting. 2. Move the light-blue cursor with the WASD keys. 3. 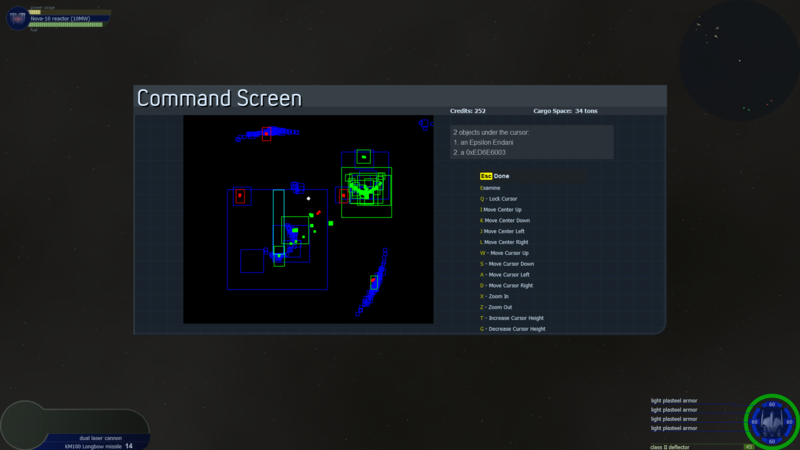 Resize the cursor with the TFGH keys. 4. If the area of the cursor covers the center of an object's rectangle, that object appears on the right pane, where you can then examine it. 8. 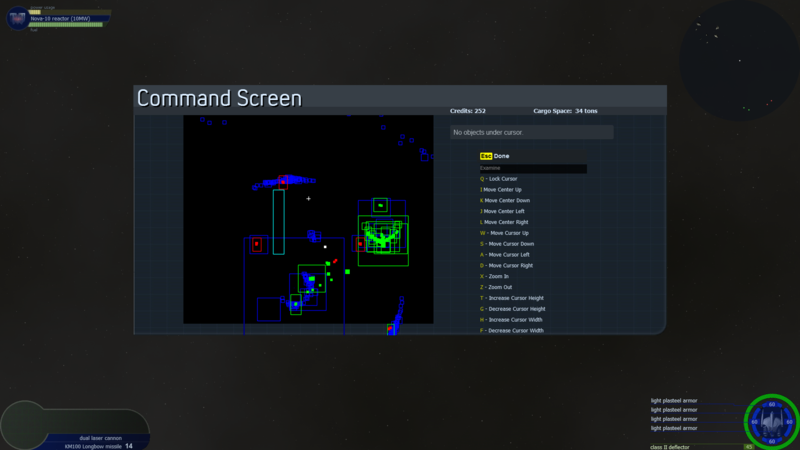 Use the IJKL keys to pan the screen around. 10. When you have some objects under the cursor, press E to enter the Examine List screen. 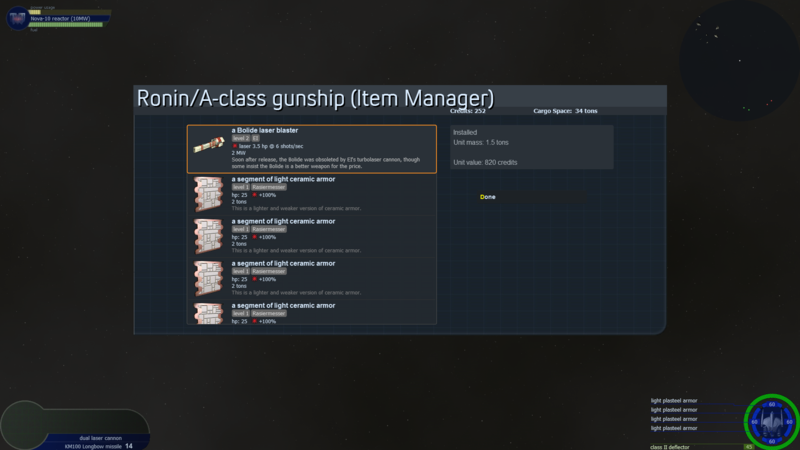 Objects that match the criteria defined by the global variable gSubordinateCriteria have the "Subordinate" tag and you can give them orders. 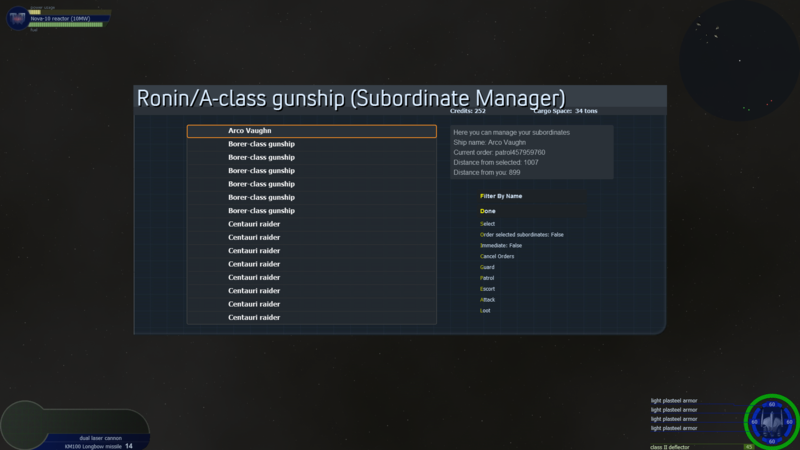 By default, Command Screen considers all ships to be subordinates. 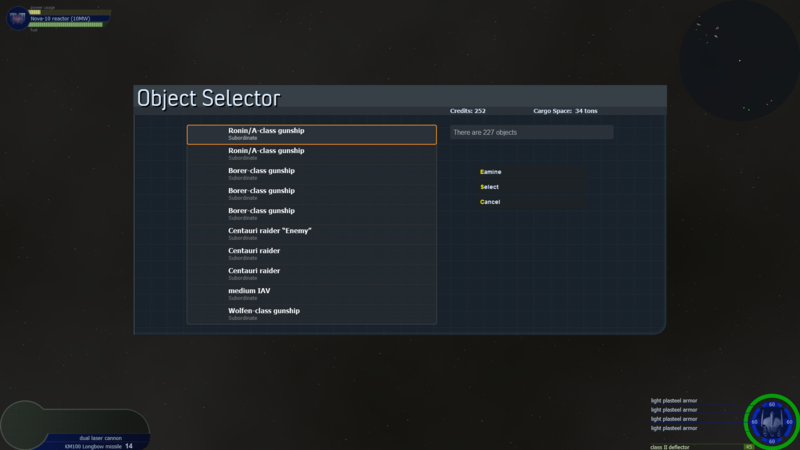 You can press E again to examine the current object or press S to Select the object, ensuring that it always appears in this screen. Last edited by 0xABCDEF on Sun Oct 15, 2017 6:13 am, edited 3 times in total. 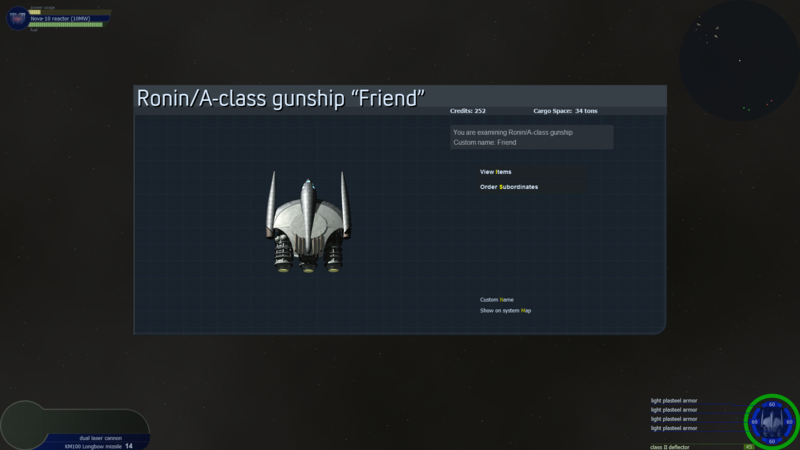 This mod was featured on George's Twitch stream.